The 54th in this series, started by sadexploration, is Wisley Church. Grade I Listed church, built in 1150. 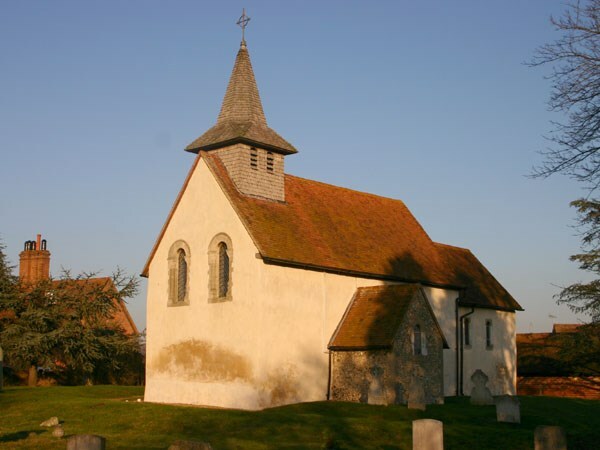 The dedication of Wisley Church is unknown, but it is called “The Church in the Farmyard”. The farmyard has long gone, but the church still represents a Norman village church with its original size and proportions unaltered for 900 years. A straight forward micro which is placed by a public footpath so keep an eye out for passing muggles. The cache has a log book only plus micro certificates and hand made micro churches but no pen so please bring one with you.